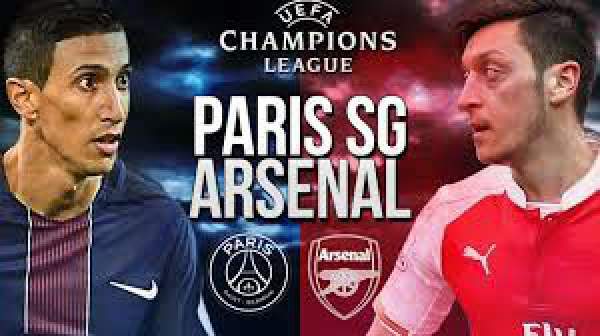 Today we have Paris Saint-Germain hosting Arsenal in group A. PSG plays in the French Ligue 1 and are currently 7th in the table with seven points from four matches, below on goal difference from Stade Rennais and one point above Lyon. On the other hand, we have Arsenal who is also at #7 on the table with 7 points, Illuminati confirmed!! They have played four games, below on goals scored from Liverpool and above from Hull City. 14th September 2016 at 00:15 (IST). Parc des Princes, Paris, France. Paris SG hasn’t started their title defense in the way they would have anticipated as they are currently seventh in the table after four match days. They have won two games, drew one and lost one, scoring six goals and conceding four goals in total. They won against SC Bastia by 1-0 and against Metz by 3-0. They played against AS St-Etienne in their last game and was able to manage a draw by 1-1. Four main team players were all out injured, Aurier, Silva, Pastore and Maxwell were out, and Jese was also out with some problem. PSG was awarded a penalty in the 66th minute as Matuidi was fouled in the box and then Lucas converted successfully from the spot to give PSG the lead. In the 92nd minute, St Etienne equalized as Beric scored to make it 1-1 and the game ended at that. Arsenal is also seventh on the table with 7 points from four games as they won two matches, drew one and lost one. They have won against Watford by 1-3 and against Southampton by 2-1. They played against the Saints in their last game in the league and was able to get a win. Petr Cech gifted a goal in the first half to the Saint’s and then in the 29th minute Arsenal equalized as Koscielny scored and then in the 94th minute Santiago Cazorla scored the winner through a penalty. Trapp, Meunier, Marquinhos, Kimpembe, Kurzawa, Verratti, Motta, Matuidi, Jese, Moura, Arfa. Cech, Koscielny, Mustafi, Bellerin, Monreal, Cazorla, Walcott, Ozil, Coquelin, Chamberlain, Perez. Come back for the match results, full video highlights, scorecard, and much more details. Don’t forget to share it on social media sites like Facebook, Twitter, Google Plus, etc. with other fans. Stay tuned to The Reporter Times for latest football news and updates.